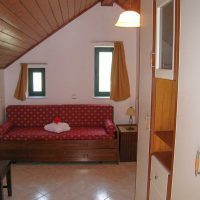 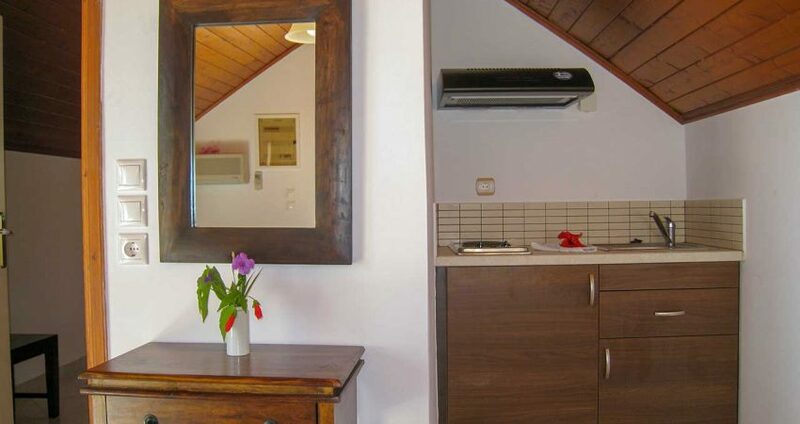 Our second attic apartment of about 45 m² is ideal of a family of 3 or 4 persons. 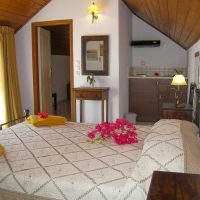 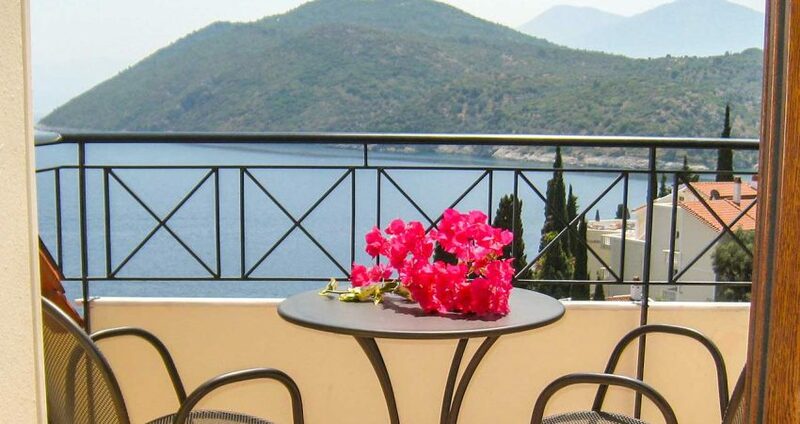 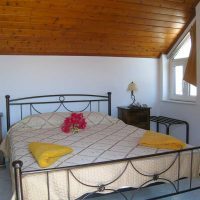 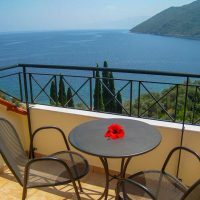 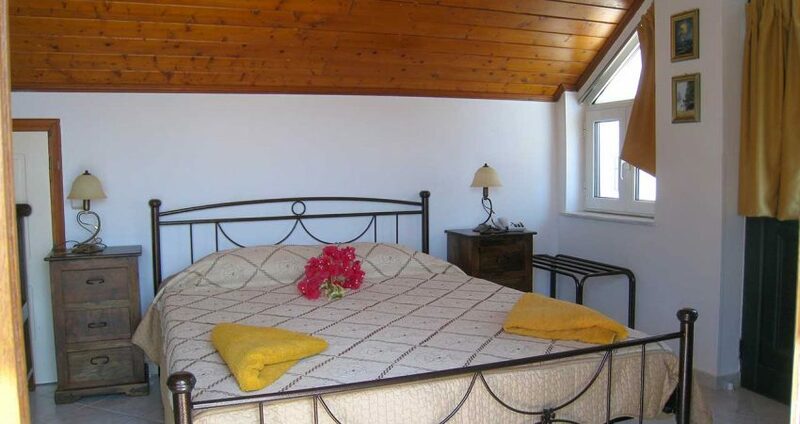 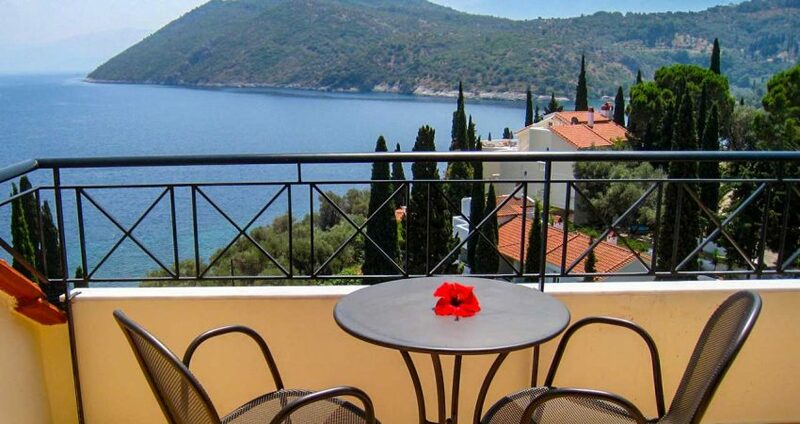 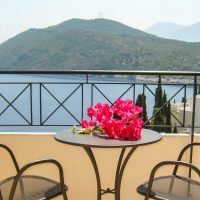 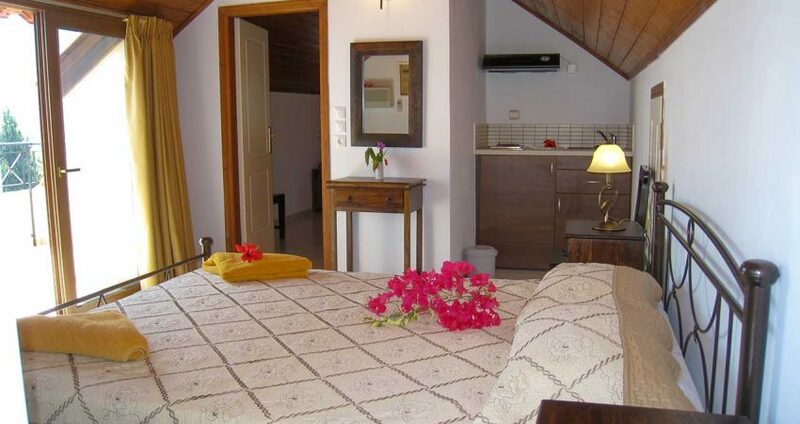 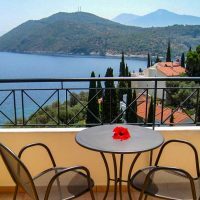 This romantic attic apartment is also ideal for a honeymoon accommodation. 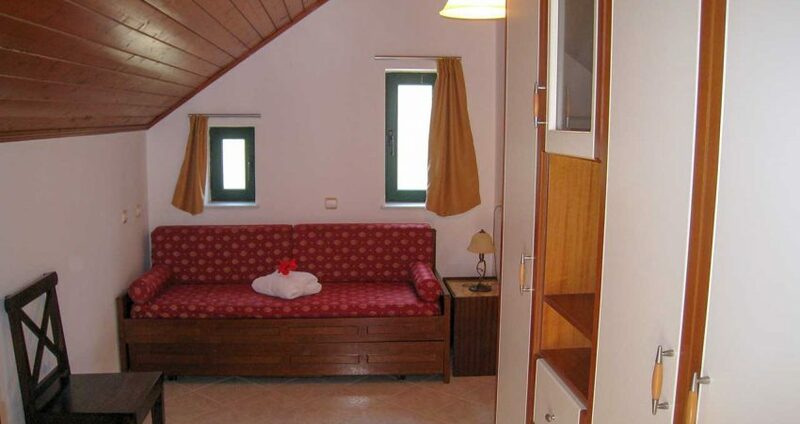 It has a bedroom with a double bed, and a bedroom with a sofa bed that becomes two single beds. 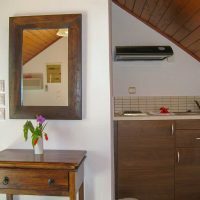 It also has a small kitchenette in the main bedroom, a bathroom with a shower, a balcony with panoramic sea-view and individual air-conditioner units.